In this installment: Ant Man and the Wasp, Luke Cage Season 2 (the rest), The Princess Who Saved Herself, Ms. Marvel #32, Marvel Rising: Squirrel Girl & Ms. Marvel #1, Deathstroke #33, Future Quest Featuring Frankenstein Jr. #12, The League of Extraordinary Gentlemen: The Tempest #1 (of 6), Smoketown #8 (of 8), Mystery Science Theater 3000 The Comic Free Preview, Empowered and Sistah Spooky's High School Hell #5 (of 6), Real Science Adventures: the Nicodemus Job #1 (of 5? ), My Little Pony Ponyville Mysteries #3, My Little Pony: Friendship is Magic #67-68, Transformers Bumblebee #1-2, Transformers Lost Light #19-21, Optimus Prime #20-21, Transformers Unicron #1-2 (of 6). Current Wait List (books either Diamond didn't ship or my store failed to order): Amazingly, nothing. Everything actually arrived the week it was supposed to, even. 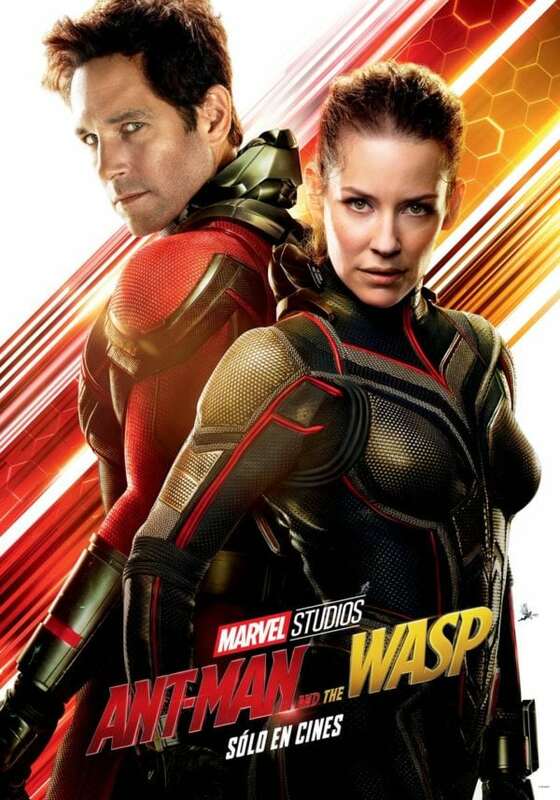 Ant Man and the Wasp: Marvel - This was basically a string of macguffin hunts rather than a strict "caper" film. Sometimes the protagonists are after the macguffin, sometimes the antagonists are, sometimes the antagonists have a different macguffin and the protagonists need to get it back, etc. All against the backdrop of "Scott has two days left on his house arrest and can't afford to get caught doing anything shady." Aside from the in-credits and post-credits scenes, it's all set before Infinity War Part 1, so it gets to stay pretty light-hearted. If I have a significant complaint about the movie it's that Jimmy Woo runs a little too much towards comic relief, although it would be amusing to see this version of Jimmy find out he's heir to the leadership of the Agents of Atlas. Recommended. Luke Cage Season 2: Marvel/Netflix - I liked the full season quite a bit more than I expected to, based on the slow start. It probably would have worked better as a tight 8 episodes (something that can be said for almost every Marvel Netflix season), but overall I give it a solid Recommended. My earlier Fifth World column expands significantly on this, with plenty of spoilers. Nothing this month, although I would have gotten the digital version of the MST3K comic preview if I hadn't found the hardcopy at my local store. 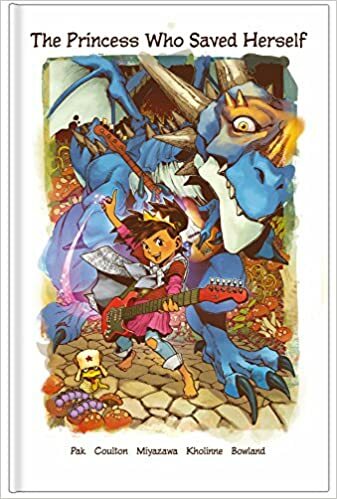 The Princess Who Saved Herself: Worldbuilders - This actually came out a few years ago, but when Greg Pak held a fundraiser for RAICES (legal help for refugees, notably helping with the whole "stolen children" thing), I picked this up. It's an illustrated version of the Jonathan Coulton song of the same name. 32 pages long, usually with a single illustration and two or three lines of text per page, but Pak breaks it up with some two page spreads and some pages with two illustrations. I haven't actually heard the song until I went looking for it while writing this review, and there's actually not a lot of lines from the song in this book. Maybe four or five pages match up, Pak wrote a new story using elements from the song (and Takeshi Miyasawa drew it). Very good art, decent kiddie story. Recommended. $20 pricetag. Mystery Science Theater 3000 the Comic (free preview): Dark Horse - Riffing on comics is intrinsically difficult, because even in badly done ones the flow of the art is important. If you just slap a Shadowrama under every panel, it messes with that, something pointed out in the extra pages found in the online version of this free comic (I got the hardcopy, but also looked at the online one). I vaguely recall Marvel trying to do a MST-style book back in the 90s, maybe as a feature in something else, but it never really worked out. So they're taking the hard way: redrawing everything to put Jonah and the bots into an old teen comic, and relettering it so that both the original dialogue and the snide asides have room (and can be told apart). Todd Nauck draws the framing story, while Mike Manley redraws the teen reporter comic. Loads of people are listed on the writing credits, basically a regular riffing team. I'm not sold on the comic, though, as it feels like they're overexplaining some of the jokes, afraid that readers won't Get It. Something to keep an eye out for the trade paperback, perhaps, in the hopes that they find their groove after a few issues. My Little Pony Friendship is Magic #67-68: IDW - Well, both issues came out this month, and it's a two-part story, so fair enough to review them together. This is the story of what became of Tempest Shadow after the movie, as she wandered the world trying to find a place for herself. Lots of good snark as Tempest criticizes various elements of Equestrian society, and grumpy Tempest on the cover of #68 really needs to be made available as a poster. Very strong finish to the story, which despite taking plenty of opportunities to mock the ideals of friendship and the like ends up showing Tempest that those ideals are still important. They don't take the same form for everyone. And if her face turn in the movie felt abrupt and contrived, Whitley and Price do a great job of justifying it here. Strongly recommended. $3.99 each. Transformers Bumblebee #1-2 (of 4): IDW - The official prequel to the upcoming movie definitely puts the "reboot" into "soft reboot" here, since 1960s Bumblebee can talk. And does. A LOT. 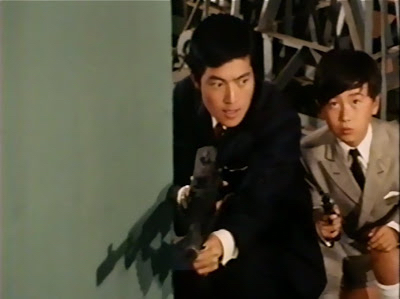 It's essentially a spy movie spoof/homage (it's never quite sure if it's being serious or not), featuring Bumblebee working with not-James-Bond and not-Emma-Peel for MI6 while Decepticons work with the KGB. Well, use them and discard them. Anyway, if this were an "Elseworlds" like Hearts of Steel (before they retconned it into being part of the main timeline afterall), I'd probably have enjoyed it more for what it was. But not only does this not feel like it fits into the movieverse (and that's hard to do, given how loosely the five movies fit with each other in the first place), it doesn't really feel like any version of Bumblebee. And there's been a lot of versions of Bumblebee. Mildly recommended. $3.99 each. Transformers Lost Light #19-21: IDW - Yes, THREE issues came out this month, as I expected would need to happen for the final issue #25 to come out around the same time as Unicron #6. A different artist pencils each issue, but at least there's a single artist throughout the whole issue each time, rather than a mishmash. These issues form parts 1-3 of The Crucible arc, even though #18 ended on a cliffhanger. I suppose The Crucible really started a few pages before the end of #18, after they'd figured out they broke the afterlife but before the sparkeaters popped out of a spatial rift. Anyway, this arc is about the last chance to wrap up danglers before finding some way to get the crew involved in the Unicron event, and there's no guarantee they'll even get to that party on time if this is a 7 part arc. :) Anyway, lots of run and gun. #19 has them purely on the defensive, falling back and trying to find a moment to catch their breath, #20 is the counterattack and boss fights, #21 is "Oh, you thought THAT was the boss fight? Here's the actual boss!" but not yet fighting. Rodimus gets a nice bit of dialogue in #21 about how much weird cosmic stuff they've already dealt with as a team, and how he's finding it increasingly hard to feel particularly threatened by the next "oh, this is the final boss" encounter. It's all a bit frantic, thanks to the need to wrap it all up on someone else's timetable, so there isn't room to let some of the bits breathe properly, but it's still pretty good. Also, fairly clever fake-out in #21 regarding the Grand Architect's plans. Recommended. $3.99 each. Transformers Unicron #1-2 (of 6): IDW - And here it is, the big slobberknocker that's supposed to put a bow on the IDW continuity before going on to whatever the next continuity is. Lots of running battles and losing planets to Unicron, evacuating refugees, etc. Starscream decides to take advantage of the confusion and rallies the Decepticons to his literal banner once more, claiming he has a plan that can stop Unicron. Since it's only #2, it's not remotely a spoiler to say that his plan fails in probably the worst possible way. But hey, give him credit for a sincere effort. Visually, #1 is a jumbled mess on purpose, to give the feeling of chaos and desperation, with lots of big battle scenes. #2 slows down a bit, with more of the conflict being of personalities as everyone debates what to do now. Each issue has a backup feature in which one of the other properties (Rom in #1, GIJoe in #2) gets to deal with the events of Unicron's passage. Barber writes and Milne draws the main stories in each issue, while the backups are done by other creative teams (probably ones who worked on those books, but I didn't really get either series). There's also text features in which various IDW creators look back on their work. Recommended. $4.99 each. Dvandom, aka Dave Van Domelen, is an Assistant Professor of Physical Science at Amarillo College, maintainer of one of the two longest-running Transformers fansites in existence (neither he nor Ben Yee is entirely sure who was first), long time online reviewer of comics, finished up his summer class tonight and no one failed, is an occasional science advisor in fiction, and part of the development team for the upcoming City of Titans MMO.